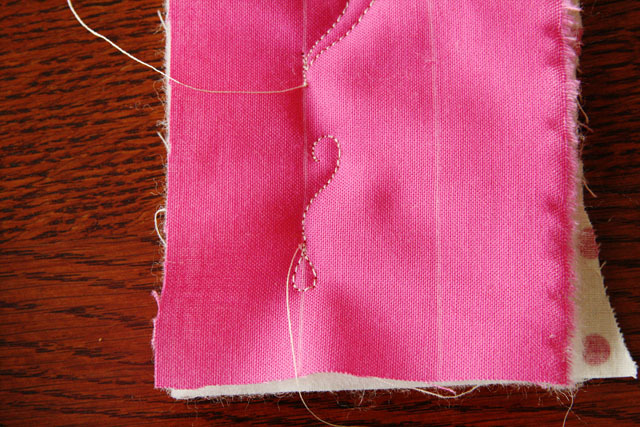 From this point, make a large downward curl…tapering back to your starting point. 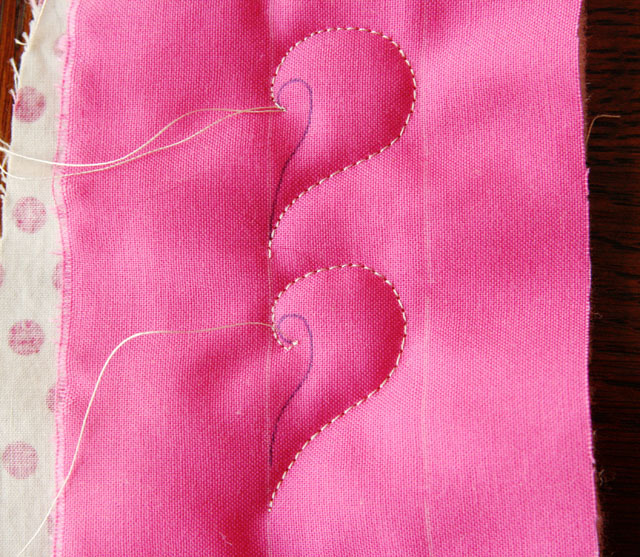 Finally, trace along the left rail until you are past the first curl and ready to begin your next motif. 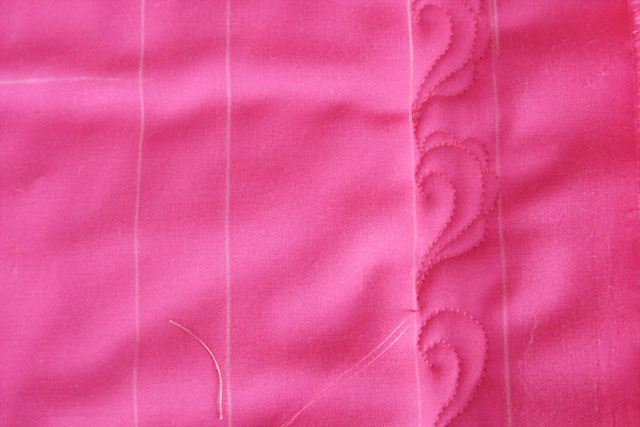 The photo below shows how the pattern would look as a border—lovely! 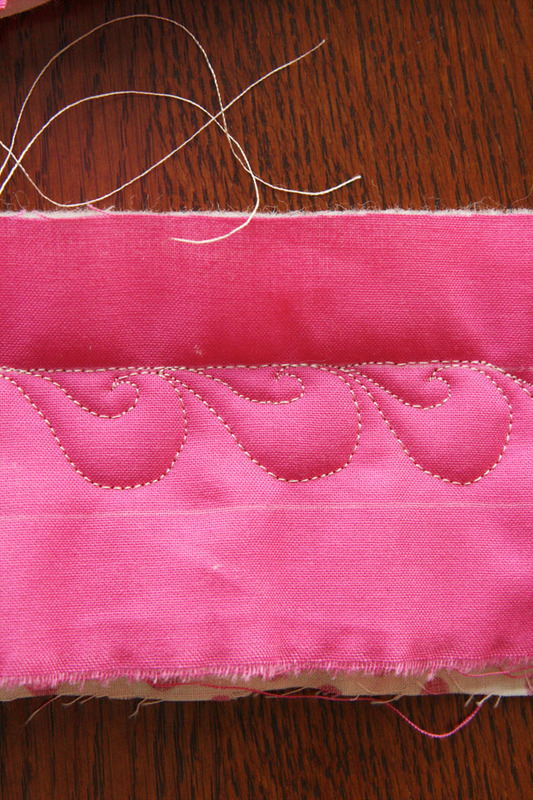 The first two steps are the same: Small upward curl, Large downward curl...Then,instead of tracing back on the left rail–-simply “bounce” or “scallop” on the outside of the Large Curl–—back to the top of the motif. 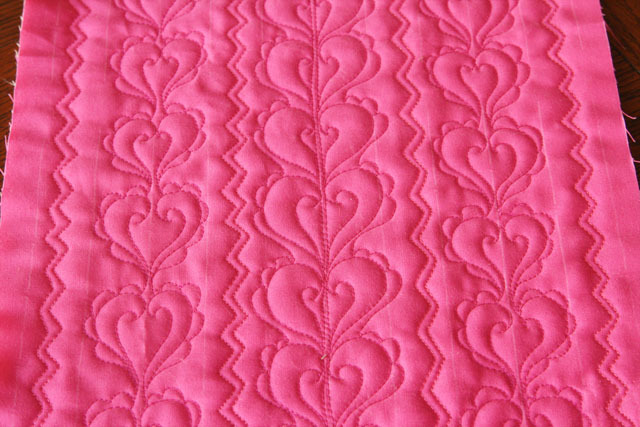 This motif stands alone as a one-sided design…but if you add the other half, you’ll have Cupid singing your praises! 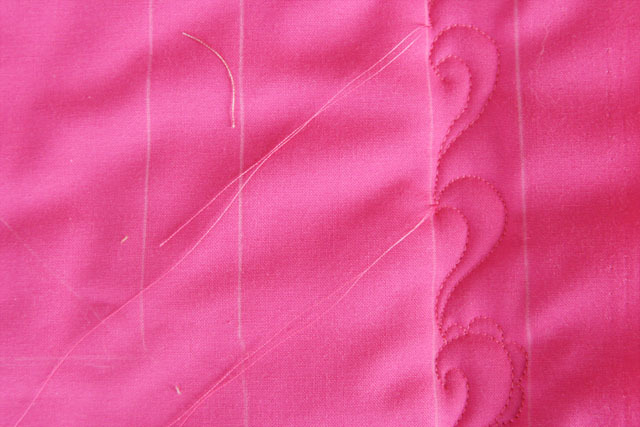 After you completed several rows of this pattern, pick out the best area–chop off the rest and bind it as a vase quilt! 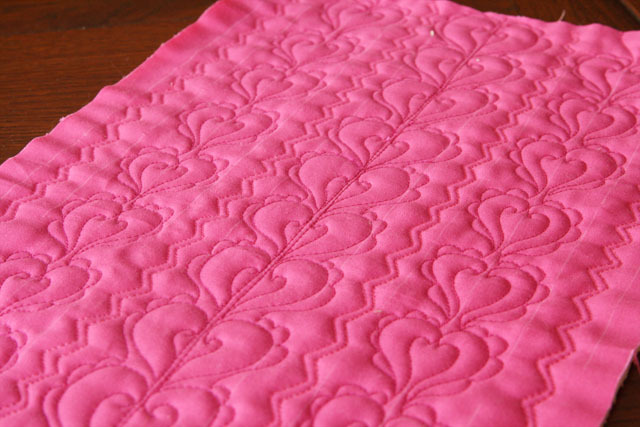 Also, this row quilt would look fabulous with a few rows of Spiral Hearts–check out that tutorial here! You match them up so perfectly!